The Rocha Department (a prime area) is in southeastern Uruguay, and is characterized by an undulating landscape of verdant plains and hills. Its low coast is marked by sandy stripes with sand dunes interrupted by rocky extensions. This diverse landscape allows for various industries within the region. Because it is situated along the coast of the Atlantic Ocean and has several lagoons, Rocha is an excellent fishing ground, particularly in the towns of La Paloma and La Coronilla. Its fertile plains yield rice, tobacco, peanuts, and fruit. The hills of Rocha are rich sources of lignite and marble. A popular site in Rocha is the Islas de Torres, noted for sea caves that shelter sea lion colonies. Another tourist attraction is the seagull refuge on Rasa Island and the Lighthouse of Santa María. 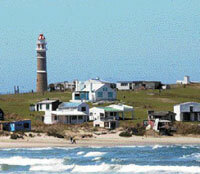 Popular beach towns in Rocha are Punta del Diablo and La Esmeralda. 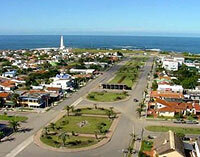 Rocha City is one of the oldest cities in northern Uruguay. It is also a great ecological reserve with picturesque beaches, lush green plains, lagoons, sierras, and subtropical forests. Rocha City was the site of the Guerra Grande, one of the main battles for national independence in the Río de la Plata region. Many of the houses and streets here retain the Spanish colonial architectural style. Its Independence Square has a church, a museum anda sports stadium. The city’s most famous landmark is the Teatro 25 de Mayo. Built in 1910, the horseshoe-shaped theatre has some of the best acoustics in the country. La Paloma is one of the most beautiful cities along Uruguay’s Atlantic coast, with spectacular white sand beaches. 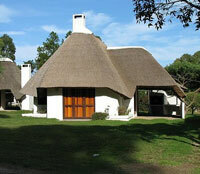 It is situated close to Punta del Este and Montevideo. Neighbourhoods in La Paloma resemble rustic beach villages with beautiful gardens and palm tree-lined streets, near beaches, lagoons and forests. The small coastal village of Cabo Polonio is named after its famous lighthouse, which stands at the tip of a moon-sliver peninsula that juts into the Atlantic Ocean. Originally a fishing village, Cabo Polonio became a major tourist attraction because of the popularity of its beach resorts, Valizas and Aguas Dulces. These beaches have an interesting feature: “mobile” sand dunes, caused by brisk winds that shift the sands and make them look like they’re changing positions. The remoteness of Cabo Polonio allows its visitors more privacy. Accommodations are cheaper than in Punta del Este. However, there is no electricity or running water in the homes. Water is sourced from nearby wells and by collecting rain water. Electricity to the region’s shops is generated through wind power and a few power generators. The lighthouse’s electricity is supplied by the country’s power grid. The rustic fishing village of Punta del Diablo along the Atlantic coast is being transformed into a tourist destination and a real estate investment. Rapid gentrification has led to the construction of hotels, restaurants, and neighborhoods catering to the upper middle class. Property prices have risen at a rapid rate in recent years. 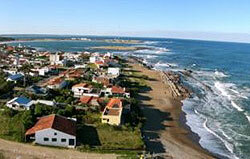 Punta del Diablo got its name because its coast is in the shape of a trident. The three rocky points of El Tridente separate its lovely beaches. It also has a friendly and relaxed, bohemian atmosphere. Chuy City is situated along the Brazilian border, adjacent to the Brazilian city of Chui. Both cities share the same main street, Avenida Internacional. A thriving trade centre, Chuy City’s location offers a unique and quirky shopping experience. Most of the duty-free shops can be found in the Uruguayan city, while the supermarkets are in the Brazilian one. Shoppers from both countries tend to cross the border to buy what they need. Aside from shopping, Chuy City offers a few natural attractions. Merin Lagoon is home to thousands of seagulls and other sea birds. Barra del Chuy offers breathtaking views of the Atlantic Ocean. An interesting place to stay is the old fortress of Fort San Miguel, which has been converted into a prestigious luxury hotel. The coastal village of Valizas has become a popular tourist destination thanks to its beautiful white sand beaches and lagoons, which are excellent for swimming, fishing and sailing. Some of these beaches are home to large colonies of sea lions. In Valizas you will find the National Ombúes Park, famous for its massive, sponge-like, centuries-old ombúes trees. In the Palm Pampas, palm trees dominate. Visitors to the pampas might be able to catch sight of exotic animal and bird species, such as the ostrich-like nandu. The pampas are also famous for its friendly Gauchos. Valizas has supermarkets, Internet cafés, a library, medical centre, and a tourism information centre, which has a museum with an exhibit of prehistoric fossils. The quiet and exclusive seaside resort of La Pedrera is situated on a rocky cliff on Uruguay’s Atlantic coast. Its high vantage point allows for breathtaking views of the beaches below, the ocean, and sunrises and sunsets. An upscale neighborhood of beachfront houses, cabins and apartments, La Pedrera is home to several beaches, each with their own unique appeal. Playa de Barco is famous for the shipwreck of the Cathay, which sank in its waters in 1971. El Desplayado is popular among families because its calm waters are safer for small children. La Pedrera’s beaches are superb fishing grounds for grouper, sole, croakers, pollacks, silversides and even large sharks. From July to October, visitors have a special view of migrating right whales.